75 Years of New York Times Crosswords! Yesterday marked the 75th anniversary of The New York Times publishing its first crossword, and I thought I’d delve into NYT crossword history a bit to commemorate this event! But, you might be thinking to yourself, Arthur Wynne’s “word-cross” first appeared in the New York World in 1913. Simon & Schuster published The Cross-Word Puzzle Book, edited by Margaret Farrar, in 1924. What took The New York Times so long to catch on? Truth be told, they didn’t think much of crosswords back then. The article goes on to call crosswords “a primitive form of mental exercise” and compare their value to that of so-called brain teasers that should be solved by schoolchildren in 30 seconds or less. A pretty harsh assessment, overall. So, what changed their minds regarding crosswords? Well, World War II happened. In a memo dated December 18, 1941, Markel conceded that the puzzle deserved space in the paper, considering what was happening elsewhere in the world, and that readers might need something to occupy themselves during blackouts. 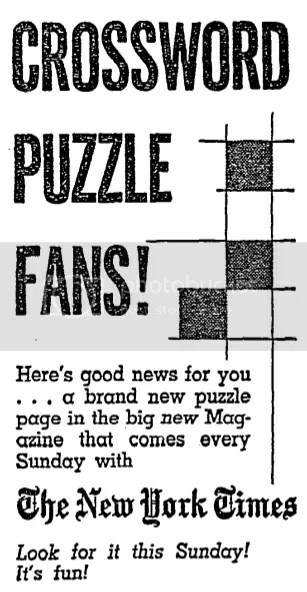 The puzzle proved popular, and Arthur Hays Sulzberger — the publisher of the New York Times and a longtime crossword fan himself — would author a Times puzzle before the year was out. And so now, only a few years after the crossword itself celebrated its centennial, the most famous crossword outlet in the world is celebrating three-quarters of a century, along with a wonderful legacy of innovation, wordplay, and creativity. To mark the occasion, The Times is going all out. Not only did they publish a crossword on Tuesday by the youngest constructor in NYT history — 13-year-old Daniel Larsen — but over the course of the year, they’ll be publishing collaborations between top constructors and celebrity solvers! The first, a feast of a collab between Patrick Blindauer and actor Jesse Eisenberg, was published yesterday. 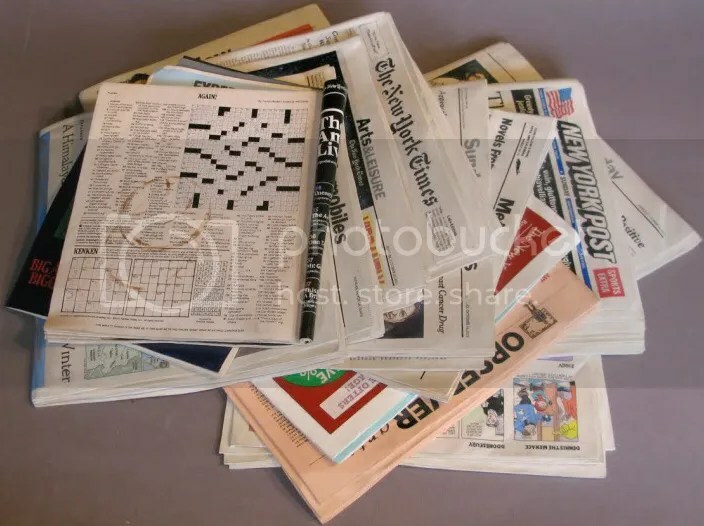 So, we here at PuzzleNation tip our hat to not only the current crew at The New York Times crossword, but all of the editors, constructors, creators, and collaborators who have contributed to a true crossword institution. I, for one, can’t wait to see what they come up with next.